Patrick Gwynne (1913-2003) is one of the most important and remarkable British architect of the 20th Century. He was just 24 when he designed The Homewood in Esher for his parents in 1937. 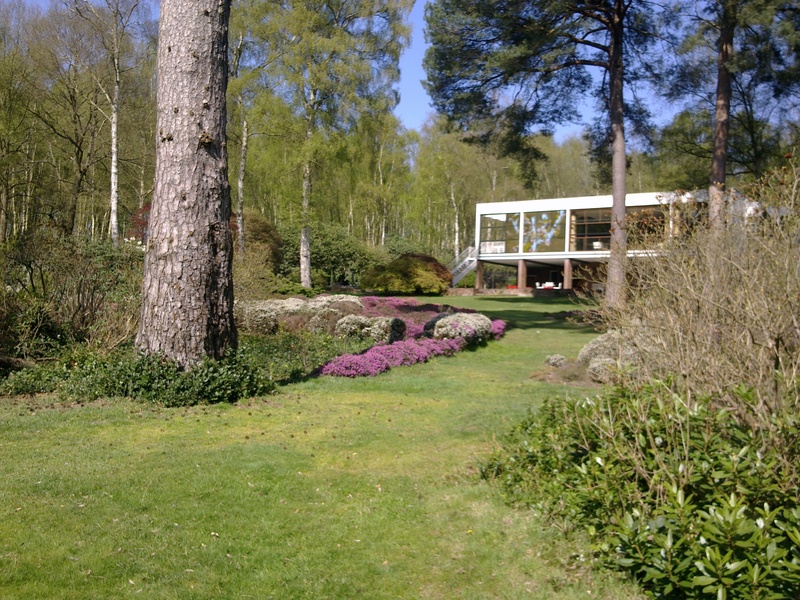 It is a masterpiece of Modernist design taking inspiration from Le Corbusier’s Villa Savoye; it was a significant contribution to the Modernist movement in Britain in the 30s, and is now owned by the National Trust. 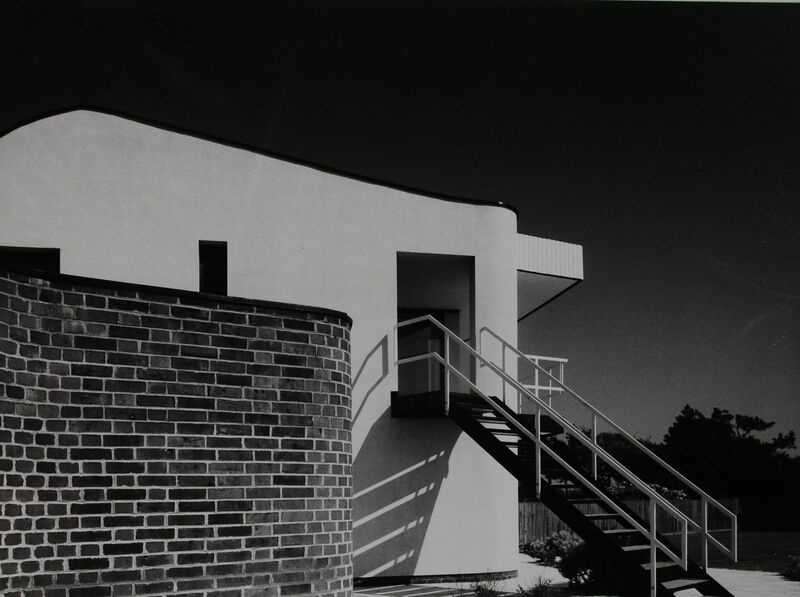 After service in the RAF in Canada, Gwynne lived at The Homewood and ran a small architectural practice from there, producing a series of important and extremely original houses during the post-war period, each tailored to the needs of the site and the client. He also designed two restaurants on the Serpertine in Hyde Park, one of which still remains as the Serpentine Bar and Kitchen. 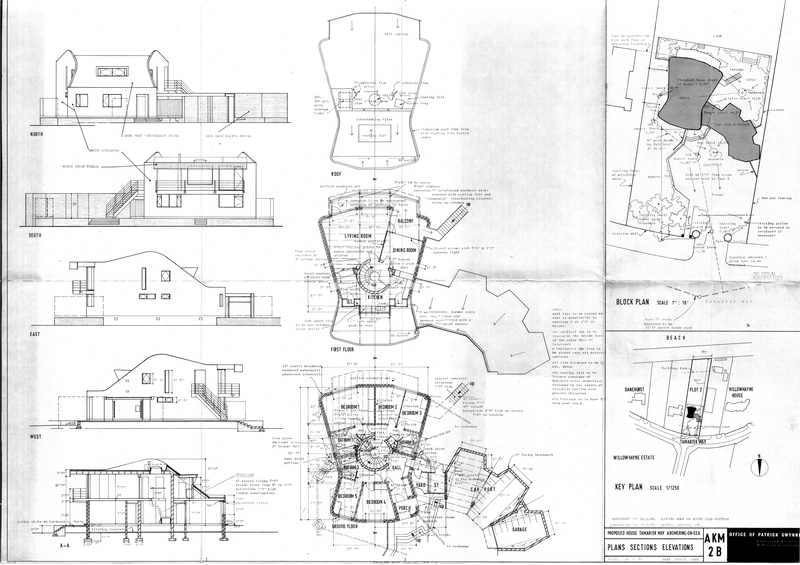 Vista Point was designed as a summer house for Ken Monk, his Quantity Surveyor. Completed in 1970, it is designed to take full advantage of the fantastic sea-front site, with the principal rooms on the first floor to make the most of the sea views. Gwynne’s playful style, with its fondness for unusual materials and increasing interest in curves, was well suited to the design of a holiday home, but this is his only example. It is one of his least-altered surviving works, and important as an example of his later, more anthropomorphic style, and as such was listed by English Heritage in 2006.